I admit in the beginning I did not pay attention to this flower. But it keep on coming every year until this year it bloomed so beautifully and so I decided I would dig some and replanted it somewhere. I like the color and is great to plant it on the edge of the flower garden. By the way my lettuce is doing good too. This is a huge orchid and is so pretty. I also love the color of this the white petals has a little hues of purple on it. Here goes with my Friday Fences this week. 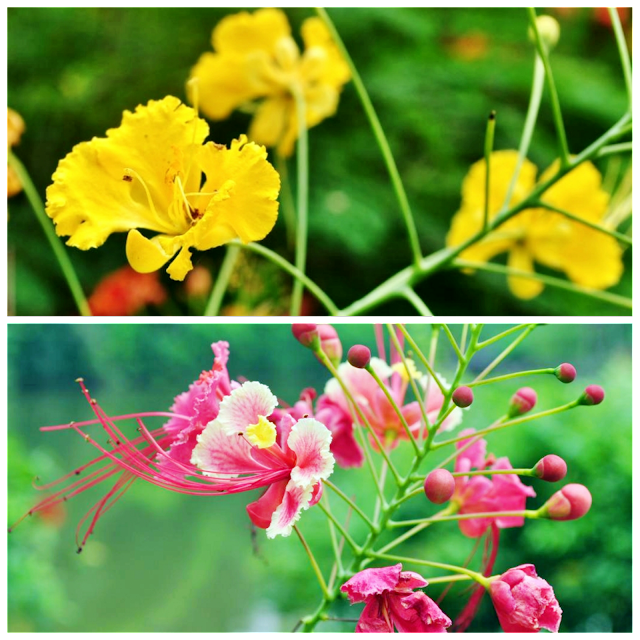 I saw these flowers inside Singapore Botanical Garden and so loving it. I do not know the name of these flowers and wish somebody could tell me. I planted these peach trees four years ago. Last year all the blossoms withered because of the frost. Two years ago we had five fruits and it was so sweet and good. This year I hope no more late frost because all my peach trees are blooming well.